" The Aspire Cleito EXO tank brings innovation to a stock tank like never before. This is not just a slightly tweaked Cleito, this has airflow technology never seen before in the vaping industry. The Airflow starts in the slits at the side of the tank, moves down the casing and comes up through the coil to produce flavour and vapour never before seen from a stock coil. The Aspire Cleito EXO tank is fully TPD compliant with a 2ml Capacity and leak free top fill design. It is a very neat tank that can also be used with the original standard cleito coils. The neat trick when doing this is that it will increase the tanks capacity to 3.5ml without needing to buy extension glass. 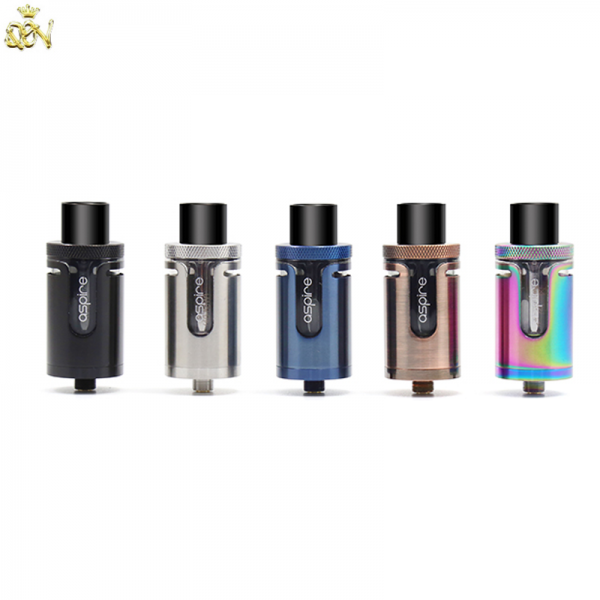 The tank comes with a 0.16ohm Cleito EXO coil installed which can be fired up to 120watts, combine this with the amazing new airflow design and you have unrivalled flavour and vapor. What about an RTA section ? For even greater cloud-blowing performance, you can also deploy the Cleito RTA system with Cleito EXO. Imagine running Aspire sub-ohm Clapton coils for huge cloud production, whilst also benefitting from a quick-fill leak-free design! This will be the ultimate tank set-up for those local cloud comp challenges.